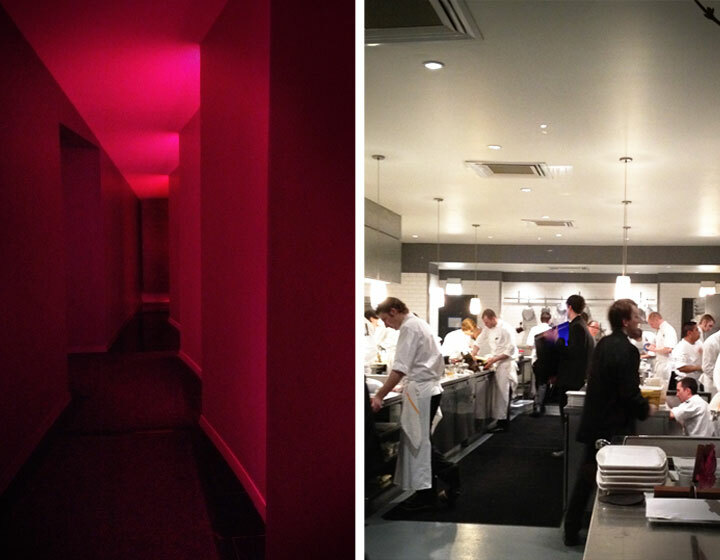 I mentioned Alinea in a post about Next a few weeks ago. It was the first restaurant started by the Next team and has built an enormous reputation in the restaurant world for its cuisine and dining experience. 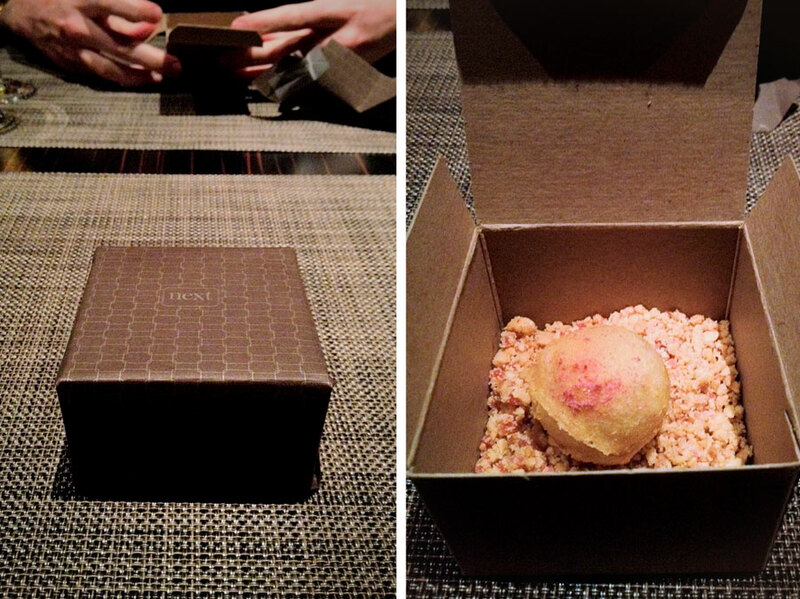 We were lucky enough to dine at Alinea on Valentine’s Day a couple of years ago, but after reading the founders’ book, “Life, On the Line,” about the origin of the restaurant and the head chef’s uncanny battle with tongue cancer, Dustin got the urge to go again. We made reservations and 2.5 months later, we got dressed up and headed back to what many consider one of the top-rated restaurant in the country. “Next” is a new restaurant in Chicago that was started by the same chef as Alinea, which is considered the top restaurant in the country. Every three months, Next closes shop for a few weeks to come up with a new concept more fantastic than the last. This go around, we were so excited to hear their new theme: “Childhood”. After three months of trying to get tickets we got in the last week before they were to revamp for their next theme. We sat down to dinner and were immediately given fresh apple juice and a little gift box. Micheal Jackson’s, “Beat it” played in the background. We were told to open the box and eat the contents in one bite and expect something explosive. The pastry contained a warm liquified version of a pb&j. You are currently browsing the Restaurants category at Chickypea.